In Synergy Float Centers quest to bring our clients the best innovative alternative wellness products that work. We have added two new products to our center. The first is Cannabidiol, better known as CBD oil. You have probably heard of it, as it seems to be growing in popularity and is legal in all 50 states. This is how it works, there is an intricate group of receptors within the body called the endocannabinoid system (ECS). This complex network impacts many areas of health and is most abundant in the brain and immune system. Studies have shown the ECS to be responsible for important functions such as sleep, relaxation, inflammatory responses, and cognitive ability. The ECS is normally fueled by the healthy production of endocannabinoids. The challenge arises when endocannabinoid production becomes impaired or slowed. The good news is that nature has gifted us with a solution. Phytocannabinoids innately occur in the hemp plant and can serve as a replacement for the endocannabinoids your body may be lacking. These CBD oils seem to be popping up everywhere, yet not all of them are the same. Synergy Float Center has looked long and hard and decided to partner with Zilis and their UltraCell product. 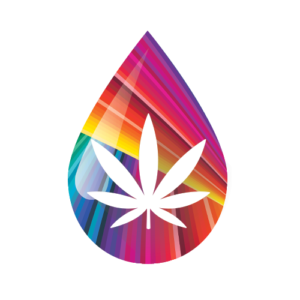 UltraCell is a full spectrum, phytocannabinoid rich, and water-soluble hemp oil endorsed by the Mayo Clinic. UltraCell comes in two delicious flavors to please the palate: berry or lemon. Most CBD oils are poorly absorbed by the body. However, UltraCell is different, they use exclusive technology to make the product 100% water soluble which means a greater absorption rate to its users, which means more health benefits and faster onset of action. Zilis offers a seven-day challenge, using mini-CBD bottles, which we have for sale at Synergy Float Center. Take the challenge, try a seven-day sample and see if it changes your life. Contact Chris at Synergy Float Center if you want to also become a partner with Zilis. 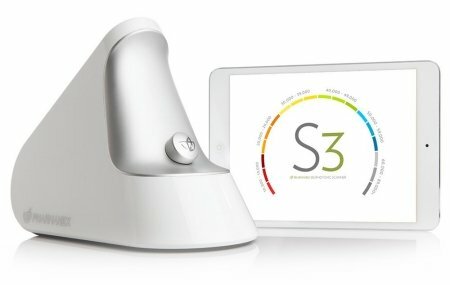 The second new product/service is the S3 Pharmanex Biophotonic Scanner cutting edge testing tool that non-invasive measures carotenoid levels in living tissue, providing an immediate indication of a person’s overall antioxidant levels. This empowers individuals to make improvements to their diet and lifestyle and helps them make informed decisions on which supplements are properly formulated to impact and improve their antioxidant health. Each day we exposed to free radicals. Many of the physical effects we call aging are a result of free radical damage. When left unchecked, free radical damage to your cells accumulates and can lead to serious health concerns later in life. In fact, free radical damage can cause premature aging and is a large factor in the deterioration of health over time. Carotenoids, that are measured by the scanner, are an important category of antioxidants that defend our cells from these free radicals. The scan will take about 90 seconds, and just involves putting your hand up against the scanner. You will then receive a number that indicates how healthy you are from a carotenoid perspective. All members will receive a free scan every 90 days and get a 30% discount on more frequent scans if they want them. Everyone else will pay $20 for a scan at Synergy Float Center. You can get your score and do nothing with it, or you can try to improve your score, and we will have information that will help tell you want you need to do. The company Pharmanex that makes the scanner, sells special supplements that they guarantee will improve your score, or they will refund your monies. Synergy has partnered with them to help bring these supplements to you, if you want them. But you can also get your own, and we won’t pressure you in any way to use those recommended by Pharmanex. And although it has not been proven via scientific means, we think floating more frequently will also help increase your score and overall well-being. So, stop by and get your score today!